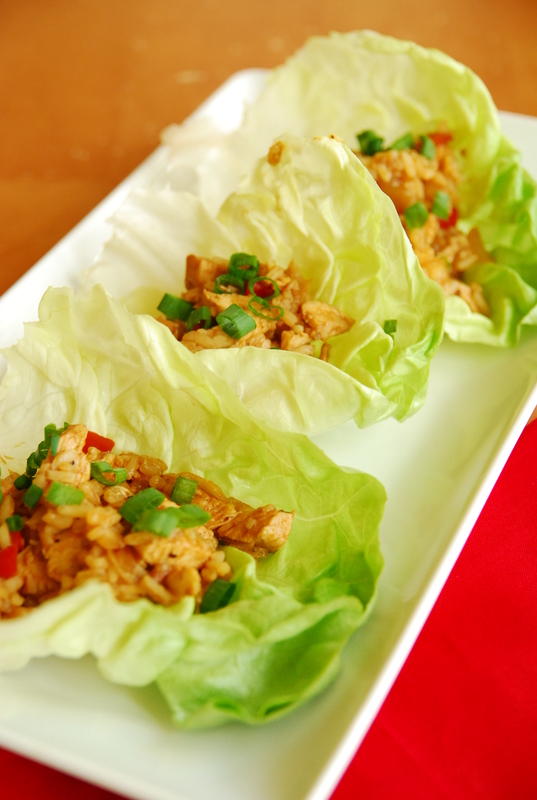 Lettuce wraps are always the one appetizer our whole family agrees upon. (Except, we usually get a couple orders and call it a meal.) I don’t know what it is about wrapping the filling up in a cold, crisp lettuce leaf but my kids love it. I’ve been wanting to try an at-home version forever, and I love the thought of slow-cooking all the ingredients together for maximum flavor. These turned out great; the crock pot is the perfect venue to let all the tasty ingredients get happy together! Bonus: this is pretty much a meal in itself — protein, grain, veggies…it’s all there! Place chicken breasts in bottom of crock pot. Cover with bell pepper, onion, garlic, hoisin sauce, soy sauce, ginger, 1/4 teaspoon salt and 1/8 teaspoon black pepper. Cover and cook on low until chicken is tender, about 4 hours. Remove chicken and let cool slightly. Cut into very small pieces. Place back in crock pot. Stir in water chestnuts, cooked rice and scallions. Let sit until heated through, about 5 minutes. 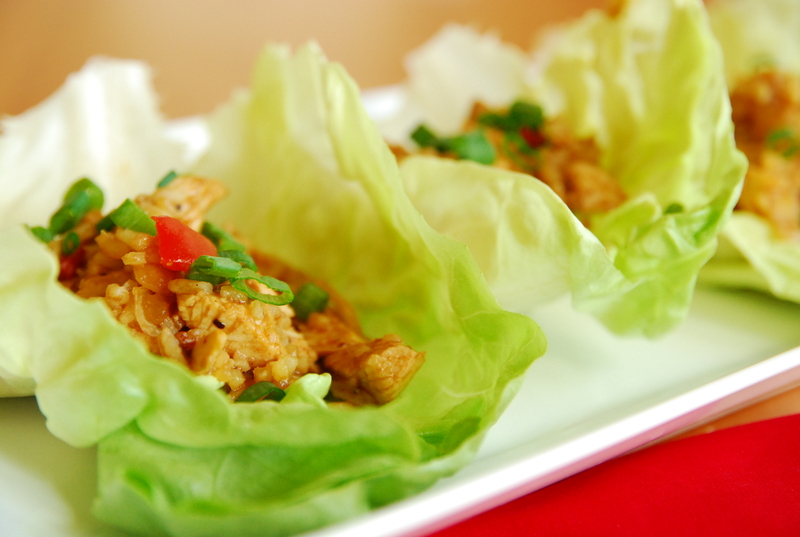 Serve with lettuce leaves and Sriracha hot sauce, if desired.